A bright green bistro set pops against a corrugated metal wall painted barn-red. 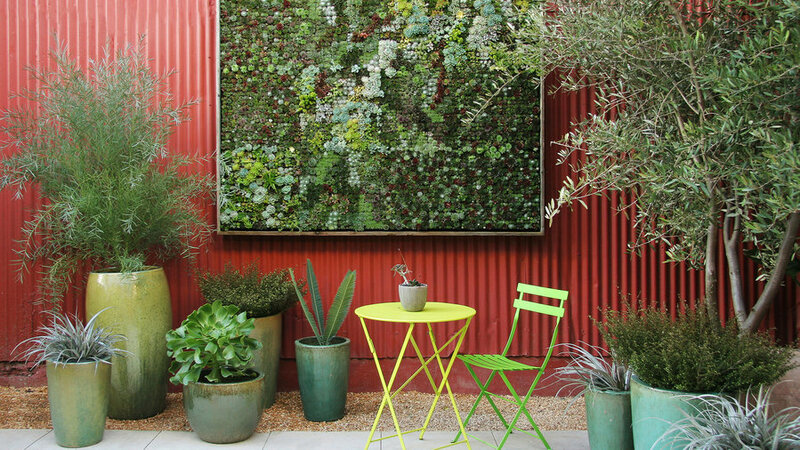 Turn any patio into a lush oasis with potted plants and a vertical succulent garden. 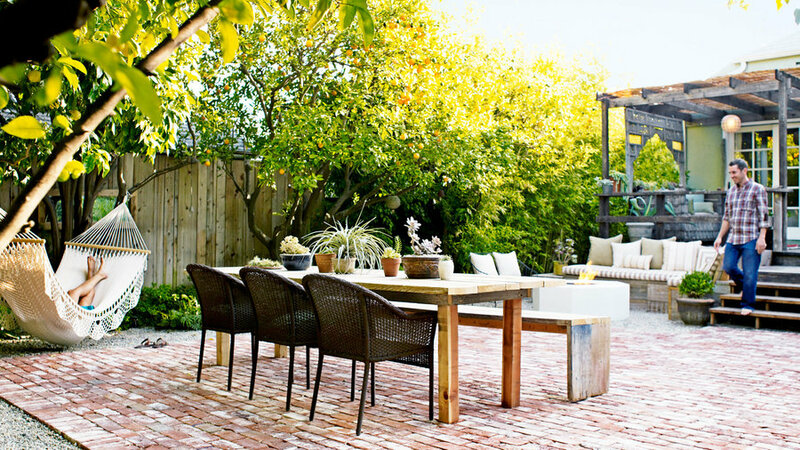 Tiers of greenery turn this pint-sized San Francisco backyard into a private retreat. Wispy Pittosporum tenufolium ‘Silver Sheen’ flanked by palm grass (Setaria palmifolia) provides screening and a feeling of the tropics. 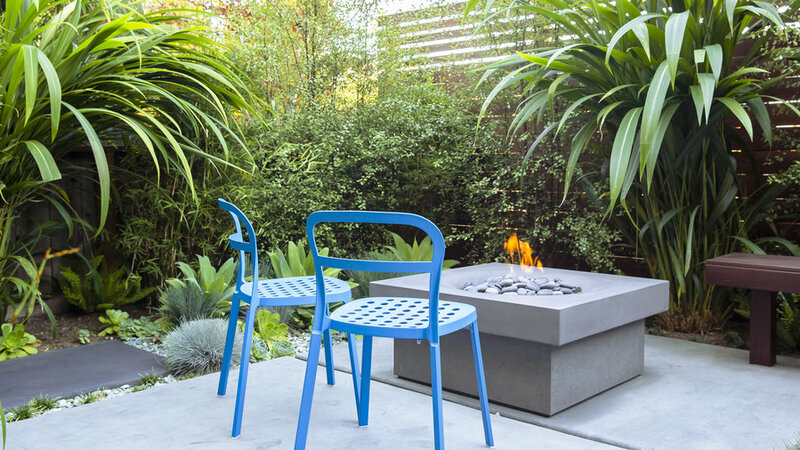 A set of bright blue chairs pulled up to an outdoor fireplace entices guests to linger outside past dusk. This russet-colored bench has a secret. The cast stone material is wired with energy-efficient heating which—much like a heated seat in a car—can provide a pool of warm on a chilly evening or be cranked up to surprise unsuspecting guests. 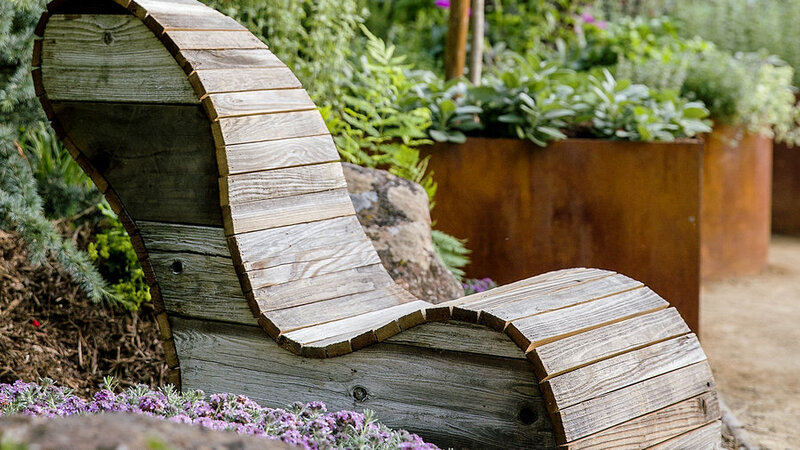 A bean-shaped chair made of reclaimed wood looks right at home in a woodland garden with ferns and native salvia. Using narrow 2-inch boards for the back and seat of the chair gives the form a graceful, organic curve and creates a super comfortable backrest. 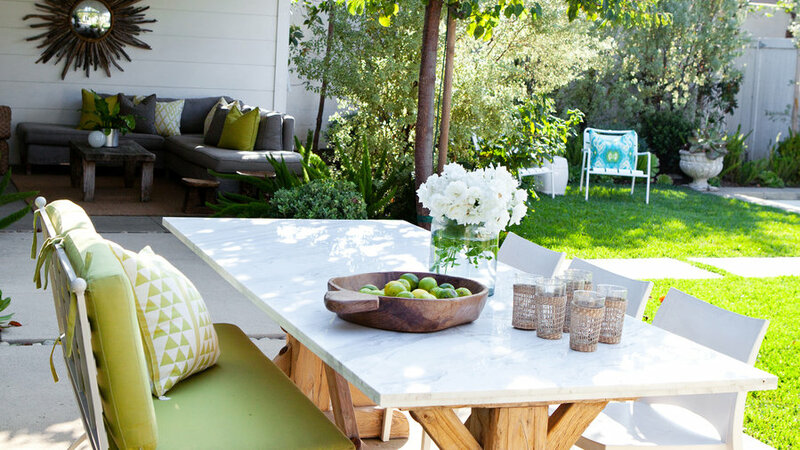 A marble-topped outdoor dining table set under an arbor of four ornamental pears brings elegance to eating outside. Mixing white stacking chairs and a cushion-topped metal bench keeps the arrangement relaxed. 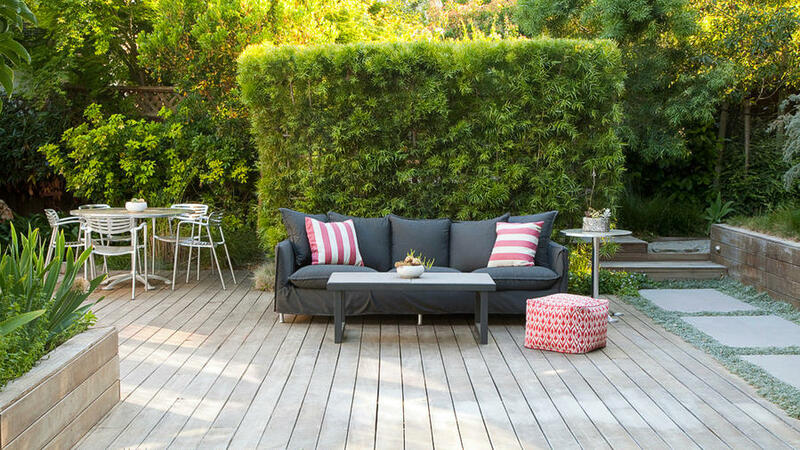 Plush furniture covered in durable outdoor fabrics makes a backyard feel like a living room out of doors. Behind the couch, a screen of espaliered Podocarpus gracilior functions as a room divider and hides the hot tub behind. 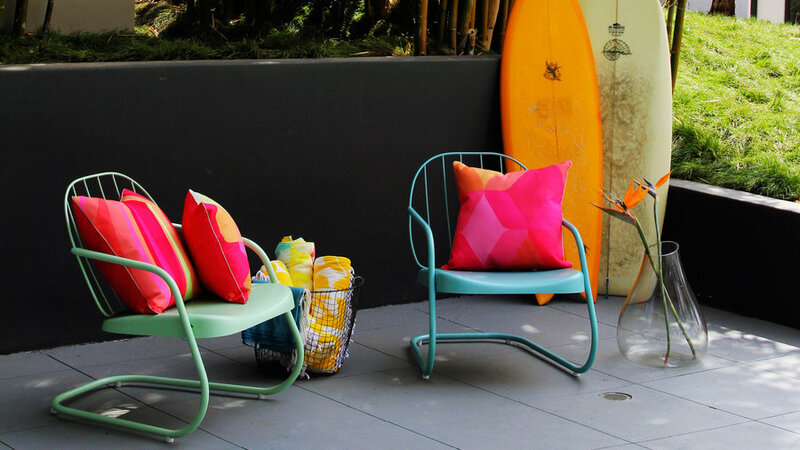 The laid-back style of these powder-coated chairs feel like a throw-back to the beach culture of 1950’s Los Angeles. Set at a cantilever, the steel frame give the chairs just enough bounce to make it feel like you’re bobbing in the waves. 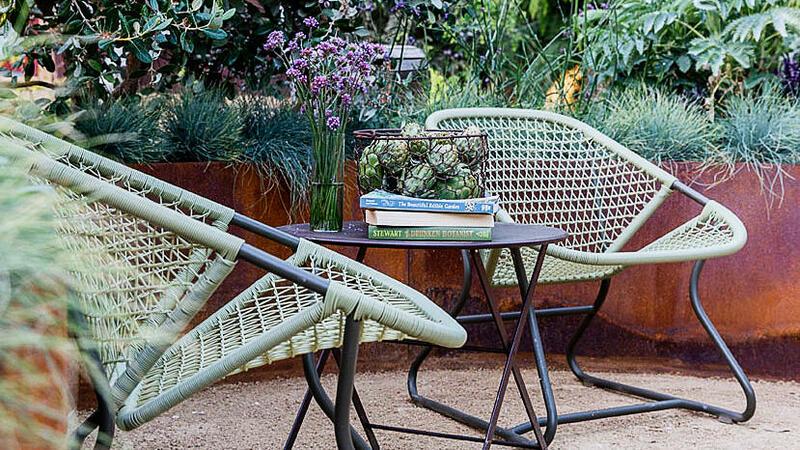 A pair of chairs nestled among curved raised beds offers a place to rest in the garden. The silver foliage of edible pineapple guava (Feijoa sellowiana) and grassy blue fescue (Festuca glauca) soften the steel planters and complement the rich russet color of the beds. Turning to recycled materials for outdoor pieces has the added bonus that the weathered textures make them look like they belong outside. The addition of recycled teak benches and a coffee table made of vintage metal jali screens turns this small stone patio into an inviting gathering space. 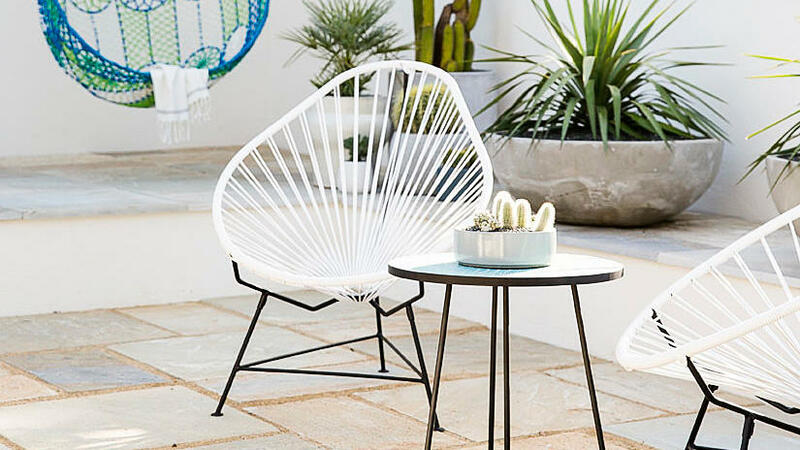 Kick back in a 60s-style hanging macramé chair in this Palm Springs-inspired garden. 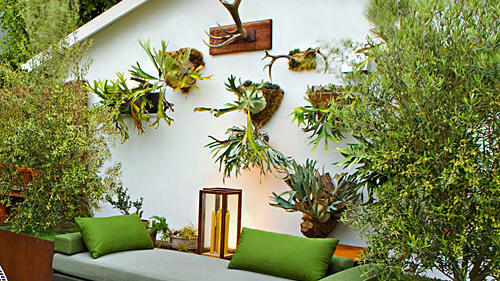 Clusters of potted cacti, yucca, and small palms cool the space. A sectional L-shaped sofa made of recycled redwood fence boards offers warmth and texture to this outdoor lounge. 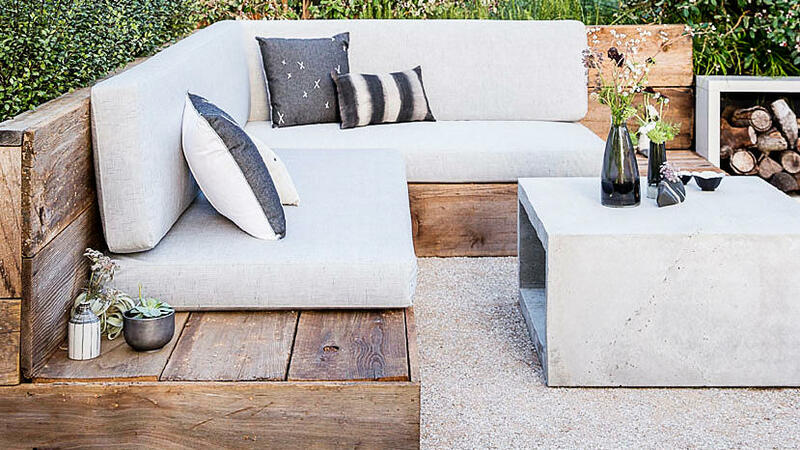 Graphic cushions and a hand-poured concrete coffee table give the rustic feel some urban edge. Cozy up next to a sleek fireplace in this outdoor living room designed for entertaining. 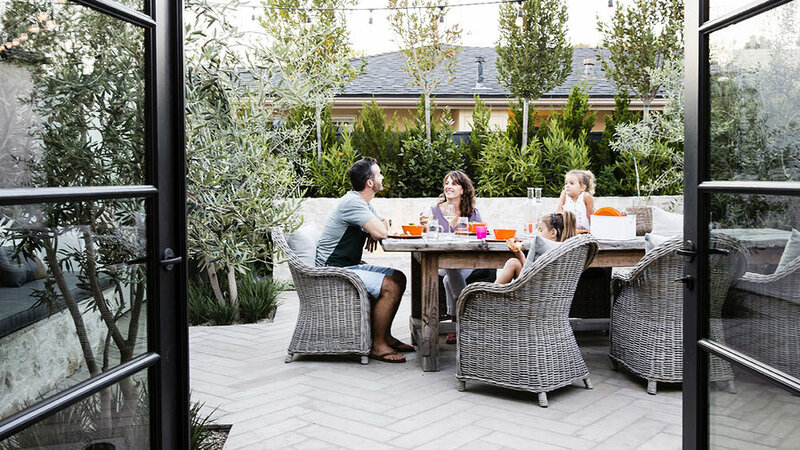 Powder-coated chairs clustered around a table creates a gathering place for a small group while a low wall topped with cushions doubles as extra seating for a party. 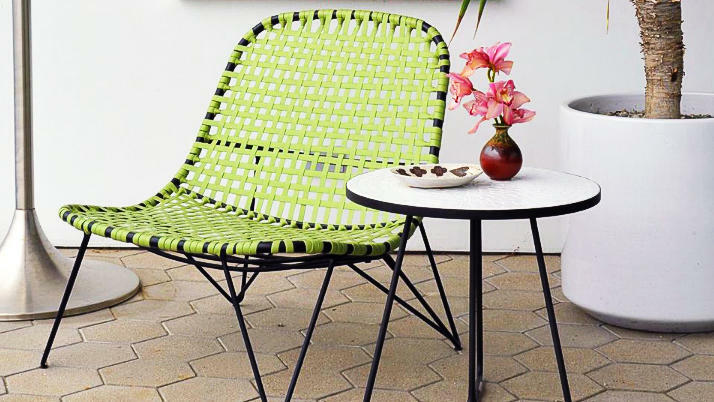 A lime-colored chair pulled up to a tiled table gives a laid-back, Southern California vacation feel to this patio. All that’s needed is a cool tropical drink and you’ve found your new favorite place for happy hour. Low-slung butterfly chairs and wire seats create a hyper-casual seating area outside this beach house. The coffee table is low enough to comfortably put your feet up even from the ground-hugging butterfly chair. 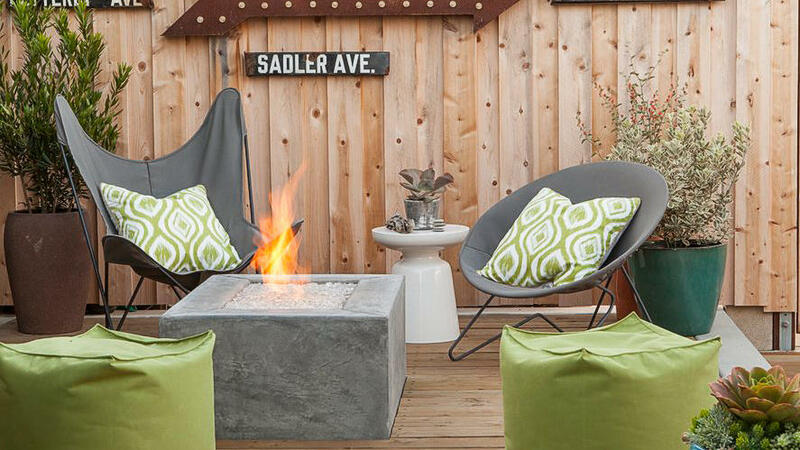 Wicker has long starred on backyard patios, but this gray finish updates the material. Pair wicker armchairs with a rustic farm table and you have a warm-weather dining spot no one will want to leave. 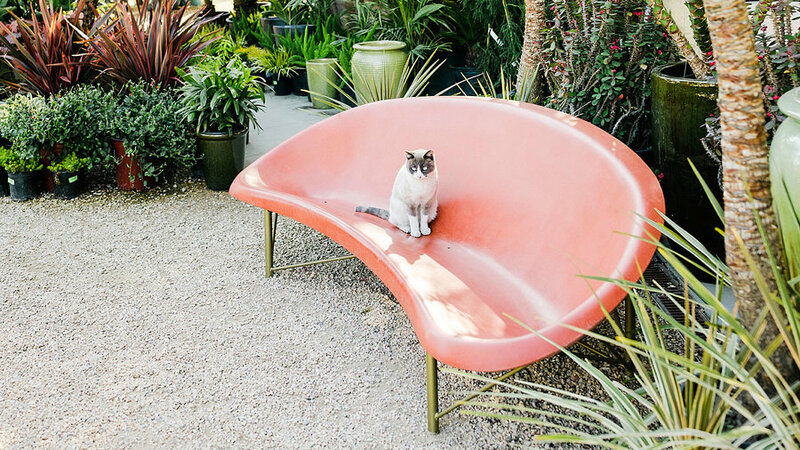 Nothing says, “sit and stay awhile” like seats you can flop into. 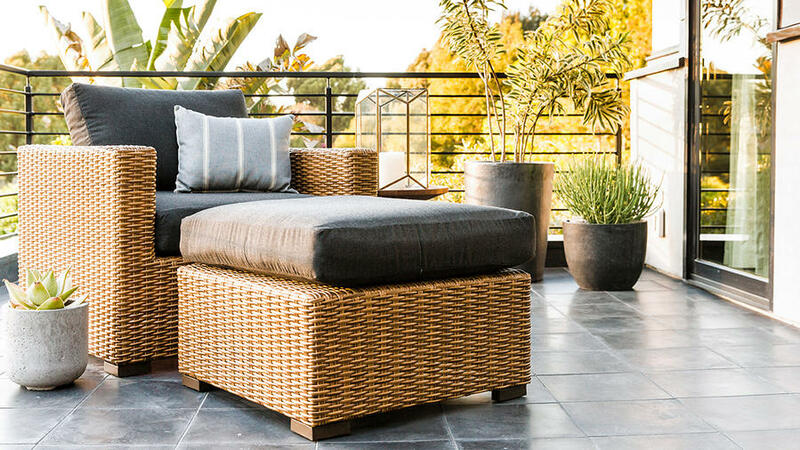 These soft poufs (the zippered cases are sewn from outdoor fabric) are especially welcome in a small patio or deck because you can move them out of the way if needed, or put a tray on top. Even though this side yard is hardly wider than a sidewalk, two Adirondack chairs and a few container groupings turn it into a destination. 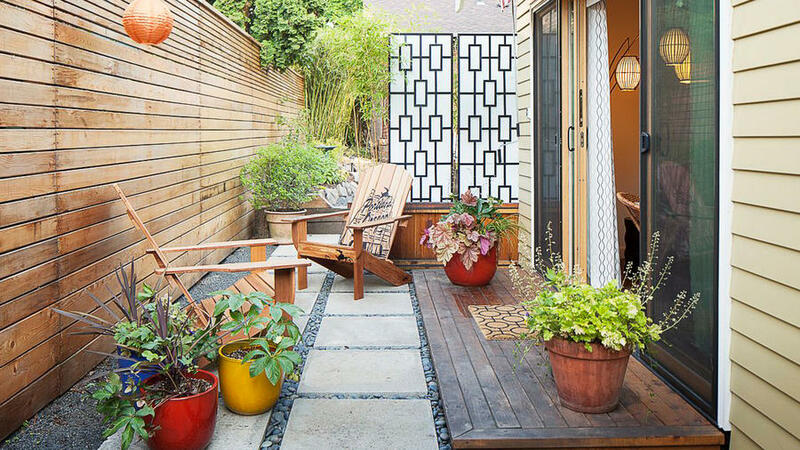 In a small space, do your best to match materials—like the wood in the chairs and the fence—to unify the space. This second-story deck is off the master bedroom so it functions as an outdoor sitting room for two. 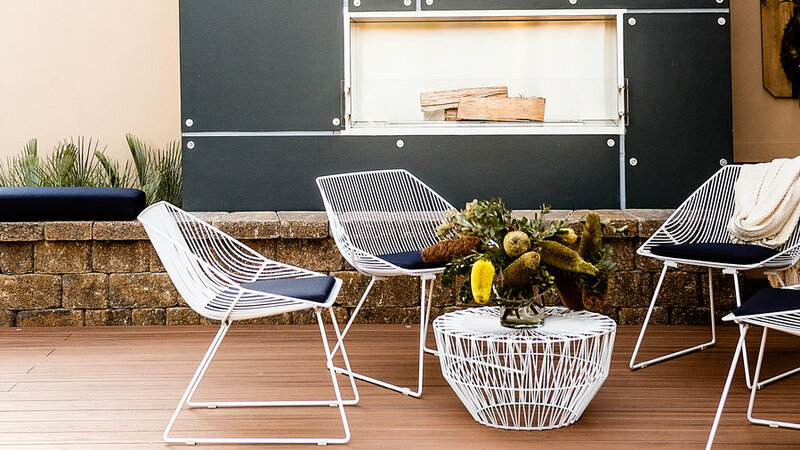 Woven club chairs have thick cushions—perfect for leaning back to watch the sun set—and clean lines that match the modern furnishings indoors. 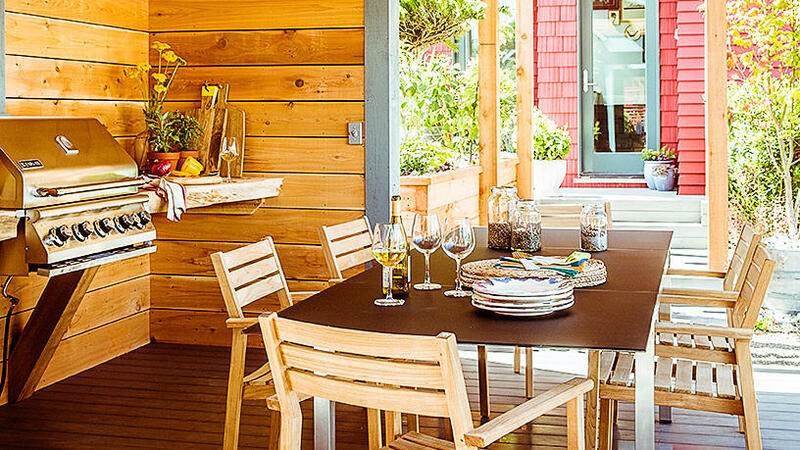 Gorgeous paneling shields this outdoor eating area from rain (after all, this home is in the Pacific Northwest). The look is cozy—almost lodge-like—so the modern parsons-style table and unfussy teak chairs are a nice surprise here. The MVP of your backyard is a low, deep bench. 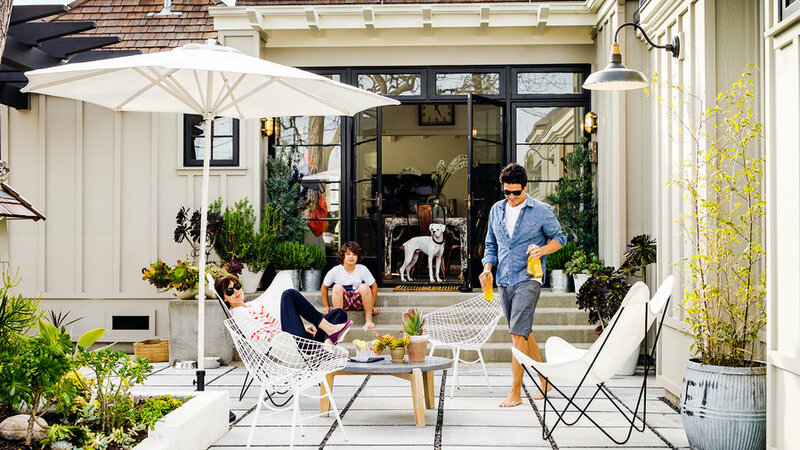 It immediately turns a basic space into an outdoor living room. This one can fit a crowd for a party or one or two people for an afternoon nap. Up the ante a little more with a gallery of staghorn ferns above the bench. 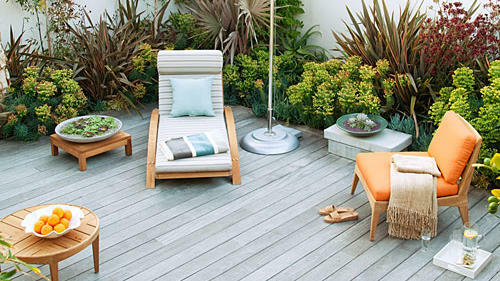 Salvaged wood is more than the raw material for a table—it’s a conversation piece that adds texture to your yard. Since it’s already worn, any patina it picks up outside will be barely noticeable. Are you at a resort on the beach or on your deck? It’s hard to tell with a setup designed to help you relax. We’re talking lounge chairs, low tables for food and plant arrangements, beautiful plants at eye level, and plenty of shade.